This is being installed on a property we are currently working on. It’s a plastic form that gets filled with soil. Once filled with soil, it gets seeded with regular lawn seed. 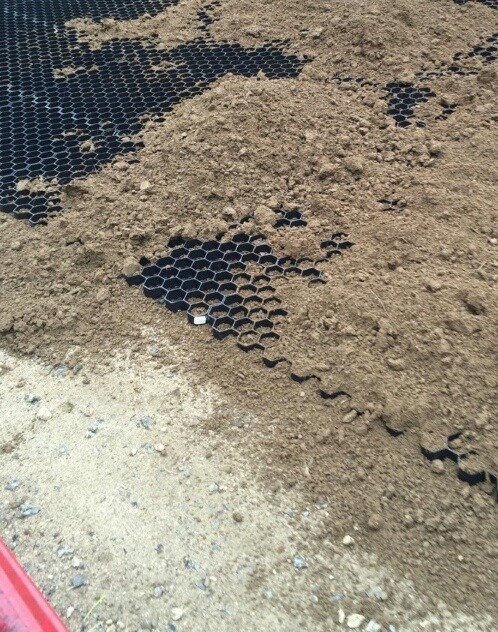 Once the lawn fills in it looks like any other lawn but the plastic grid system protects the lawn and prevents soil compaction over the years. If you’re looking for occassional overflow parking and don’t want to pave your whole property, this product should do the trick.